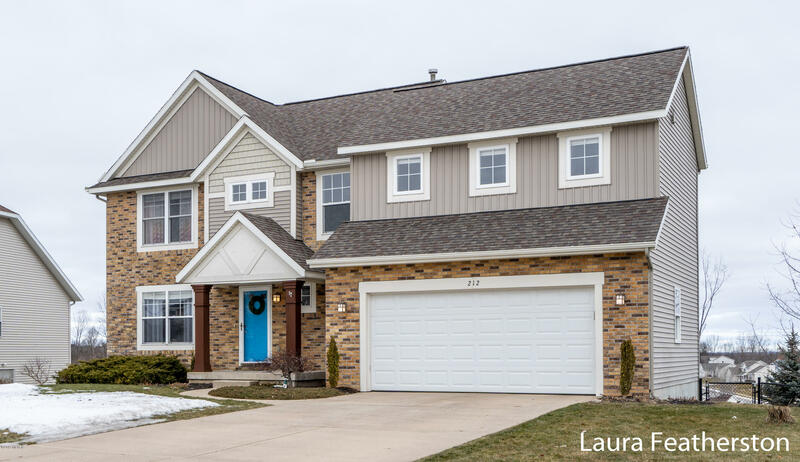 Absolutely stunning 4 bedroom 3 1/2 bath home in award winning Rockford school district. This former parade home features an open floor plan that is great for entertaining. Open kitchen with beautiful granite counters and ample cabinets. Wood flooring throughout the main level and new carpet upstairs. Laundry is conveniently located on the 2nd floor. The walkout lower level has slider to a huge patio, family room, rec/exercise/play area and full bath. Smart buyers will appreciate the smart hometechnology available throughout the home. Summer is just a few months away - enjoy relaxing on the large composite deck and watching the fireworks without leaving home. This desirable neighborhood is just a short walk or bike ride to downtown, quick access to all that Rockford has to offer -great restaurants, parks, Blues on the River, festivals, the White Pine Trail State Park, and a nationally award winning farm market.